First we have to mention that it has been quite some time since we played this game at Mystoria. 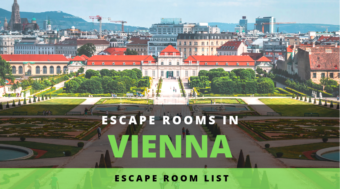 We were planning to release the review with other Vienna Escape Reviews and as a result, it was sidelined longer than originally intended. Never the less, the company still offers the same games and is still on the same location, calling the room we played their newest game. No harm no foul then (I guess). Anyway, we booked the room online and arrived a bit earlier to surprise our friend on location. We are not really familiar with the area before, but once we arrived, it looked like it was not the nicest part of Vienna. Even finding a halfway decent coffee-place to meet up turned out to be rather difficult. Word of advice – just don’t do that. Go straight for the Escape Room and meet there. But not too early either, because when we arrived, the doors were still closed. Shortly before our scheduled time (after spending the waiting time in a hotel in walking distance), the doors were open though and we were welcomed by our host and gamemaster. We were a bit taken back by the look of the lobby. Mystoria clearly was a bar / pub before and they have not invested much into hiding that. While the two of us went to the bar to pay for our game, the rest of the team stored our stuff and went to the bathroom, before getting started. Have you ever wondered how it would feel to be a member of a secret society? Hidden rooms. Pale candle light. 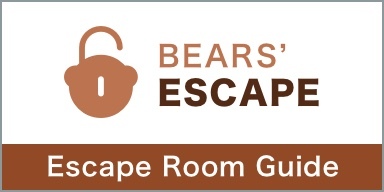 Secret meetings… If you think you can solve our most difficult track then book this room. 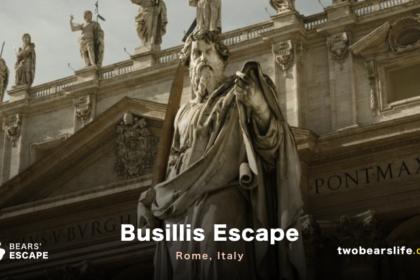 Your team will get robes and can try to escape from a scene that is both mysterious and challenging. After getting a short briefing, our gamemaster instructed us to sit in a small room for an audio introduction to the room. 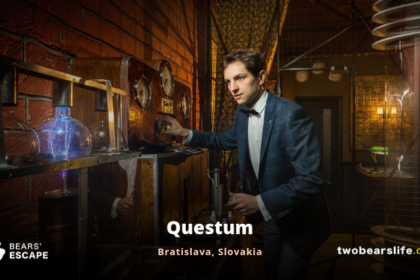 Contrary to the summary we quoted from their website, we did not get any robes, but well – we did feel rather mysterious sitting in the darkness and listening to the audio-intro anyway. Once the story-introduction was over, we were allowed to move the curtain(s) and enter the game room. Without spoiling anything, the main obstacle in the room did turn out to be the rather dismal light. Sure, it does fit the theme to have the room lighten up mostly by candles. But it also tends to get a bit annoying when you try to read and solve puzzles. The room itself is not linear, so it does fit great for bigger groups. We could split up and work on different puzzles without any problem. The room is also mapped out nicely into different puzzle / task areas, so you do know which parts belong to which puzzle all the time, which is great. After having a rather good flow and teamwork in the room, we did experience some confusion in the end and also encountered some technical problems with the final puzzle. Never the less, we made it out in time and escaped from the Illuminati. After finishing the game, our team left with mixed feelings. On one hand, during the game itself, we did have a good flow and did not need to ask for help too often. 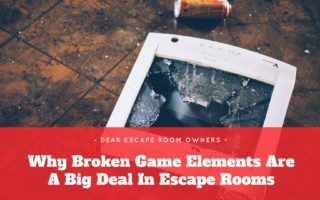 Also, the puzzles had a good variety and splitting the room up into different areas was very clever and a good way to use the available space while also allowing the team to move around freely and work on whichever puzzle they wanted to for the moment. On the other hand, the rather dark light in the room, while fitting to the theme, got annoying during the gameplay. Also, you do get away with rather limited set design if you remove most of the light sources and keep the room just dark. So I guess it was a smart decision to take that theme and work with it, but the room lacked a big “wow” factor for us. The puzzles and tasks were well structured and not too easy either. It is problematic though if you have a final puzzle with technical parts, which malfunctioned (in our case) and it took quite some time for our gamemaster to react. 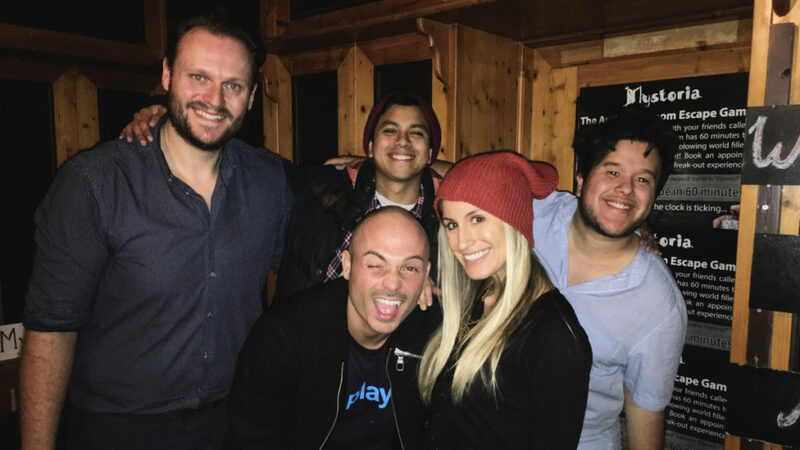 In general, we did not feel a lot of enthusiasm for Escape Rooms from our host. 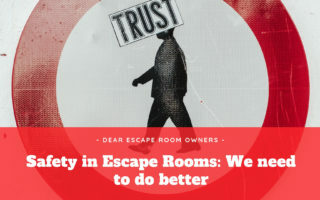 Sure, everybody can have a bad day, but we have experienced better customer service in most of the other Escape Room venues in Vienna for sure. 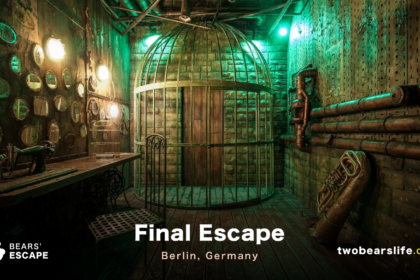 All in all, we surely can not speak for all the rooms, but we did enjoy Illuminati as a group, although it does struggle if you compare it with other Escape Rooms in Vienna. The location looks rather worn out, we encountered technical problems that affected our game and it took quite some time for the gamemaster to react. So all in all, Mystoria is certainly not a must-do for us, but the game was still fun. 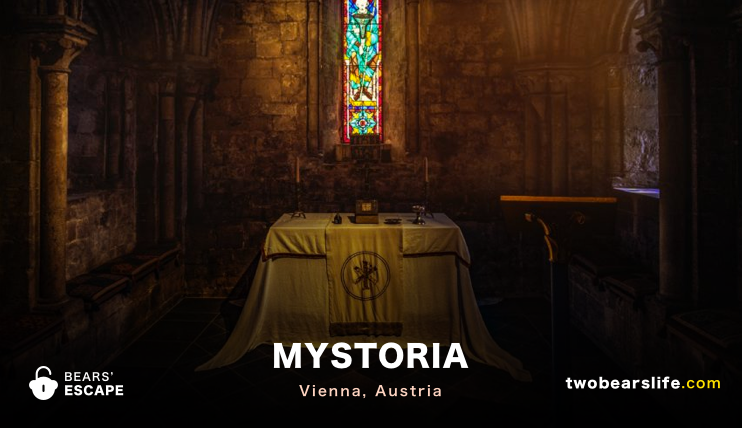 Mystoria in Vienna offers four Escape Games, although we just played one of them. Illuminati is their hardest and newest game, although the decoration was mostly a dark room with a lot of puzzles and tasks. The location is an old pub and they have not invested too much to hide that. Our gamemaster was nice, but did not show a lot of enthusiasm and was not always responsive when we needed help. Sadly, we experienced a technical problem at the end of our game, which did not end our game, but certainly affected or time. All in all, we did have a good time in the room, although we wouldn’t say that it’s a standout in Vienna. Overall, the company looked worn out and not well taken care of.